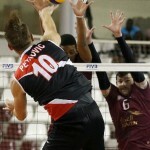 Petkovic won Grozer for 12th Al Rayyan trophy! 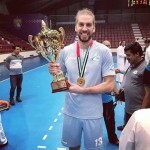 April 22, 2017	Comments Off on Petkovic won Grozer for 12th Al Rayyan trophy! 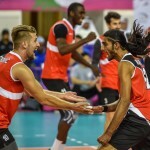 Al Arabi and Al Rayyan to clash for Emir Cup! April 18, 2017	Comments Off on Al Arabi and Al Rayyan to clash for Emir Cup! UPCN tied at 2-2 in wins! April 18, 2017	Comments Off on UPCN tied at 2-2 in wins! Skywalkers win national title after a decade! April 3, 2017	Comments Off on Skywalkers win national title after a decade! Ivan Raic in Noliko Maaseik! March 25, 2017	Comments Off on Ivan Raic in Noliko Maaseik! Historic triumph of Novi Pazar – the first trophy in Serbian Cup! March 12, 2017	Comments Off on Historic triumph of Novi Pazar – the first trophy in Serbian Cup! 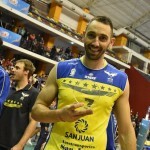 Sasa Starovic signs with PAOK! January 27, 2017	Comments Off on Sasa Starovic signs with PAOK! 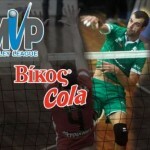 Lazar Cirovic MVP of the 10th round! December 21, 2016	Comments Off on Lazar Cirovic MVP of the 10th round! November 20, 2016	Comments Off on Dokic won President’s Cup! Udrys has stronger weapon – KB Stars down leaders Jumbos! October 30, 2016	Comments Off on Udrys has stronger weapon – KB Stars down leaders Jumbos!